Maria Endreva has graduated with a degree in Bulgarian and German from the Paisii Hilendarski University of Plovdiv (2000). She defended a PhD dissertation on the topic of The Aesthetics of Rainer Maria Rilke in His Literary Criticism. 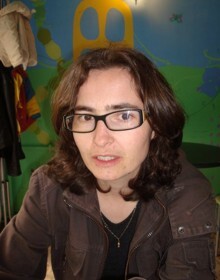 Since 2001 Maria Endreva has been a Lecturer in German Literature and Culture at the Department of German and Scandinavian Studies at the St Kliment Ohridski University of Sofia. She conducts seminars in German Literature and Cultural History of the German-speaking countries: Medieval German Novels; Novalis and the Theory of Romanticism; Death, Art, and the Language of Rainer Maria Rilke and Hugo von Hofmannsthal; Thomas Mann’s Novellas; German Culture in the Period 1871-1918. Member of the German language team.